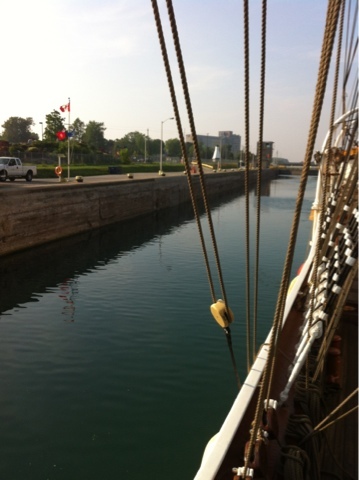 Today was spent going through the Welland Canal. 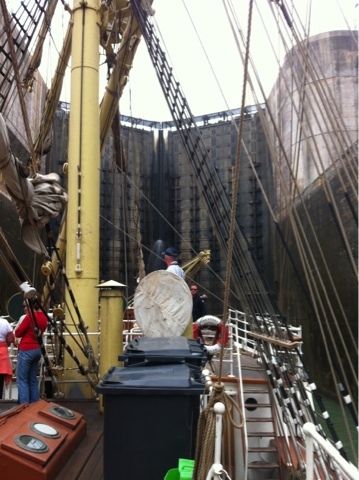 We left Hamilton at 3 am and got to the first lock around 9. By 7 pm we were through the last lock and this evening we are back in open water. After a day spent looking primarily at cement walls it sure feels nice to have all this space! The concept of locks is really neat. Over 43.5 km we changed 99.5 m in elevation! But when sailing it's fairly tedious. The cement walls, waiting for locks to fill, etc. 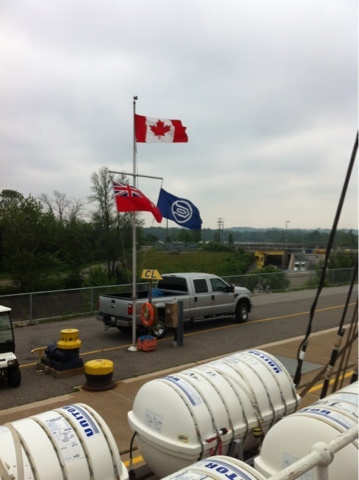 the maritime crew have been on all day - at a lock they all are on deck with specific jobs to make sure it all goes well. I really appreciate it but it does make a long day for lots of people! The last lock was a baby one compared to the others we went through today but no one was complaining!